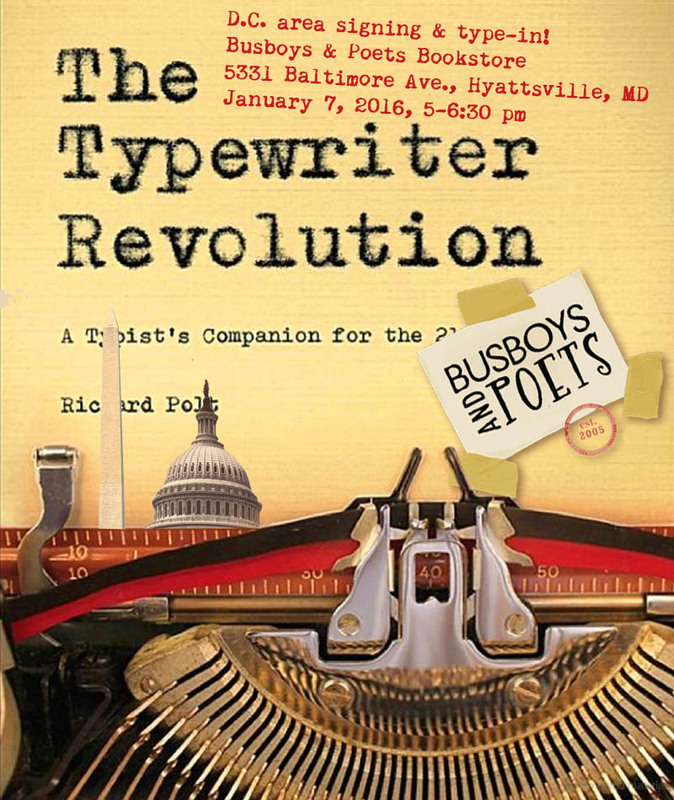 DC-area typewriter lovers are invited to an event at Busboys & Poets Bookstore in Hyattsville, where I’ll read and sign The Typewriter Revolution. 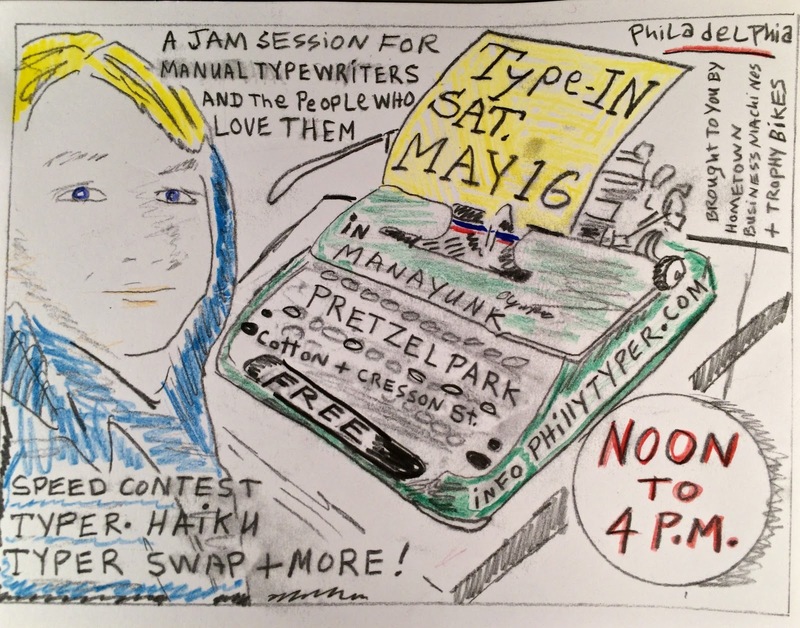 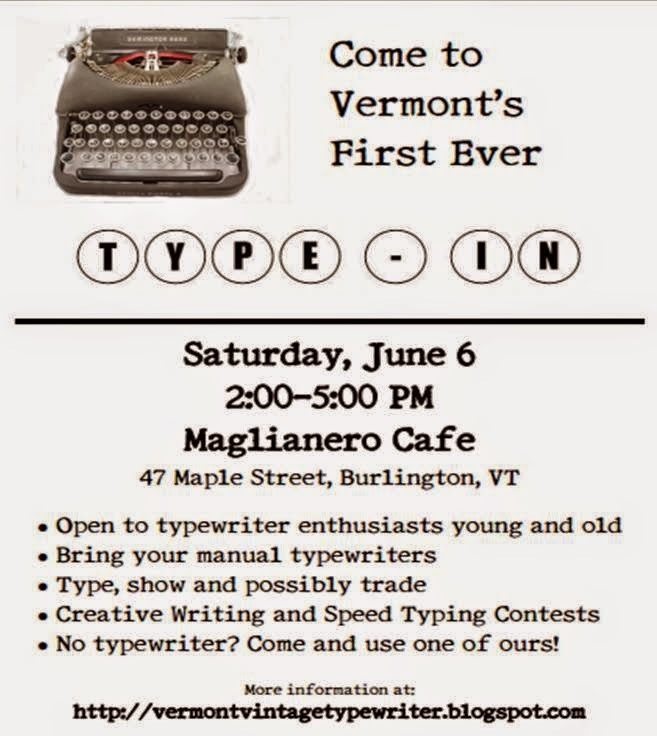 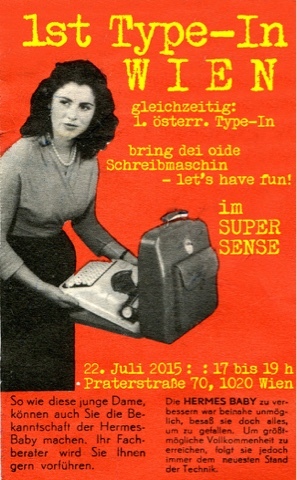 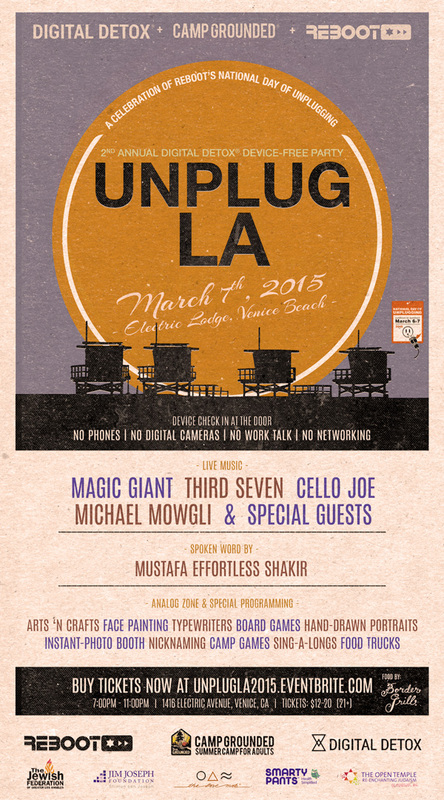 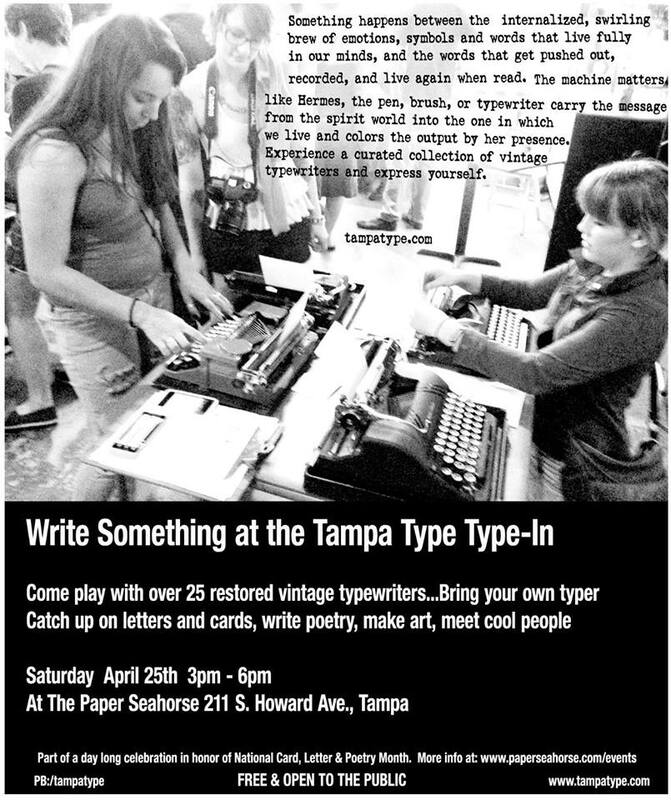 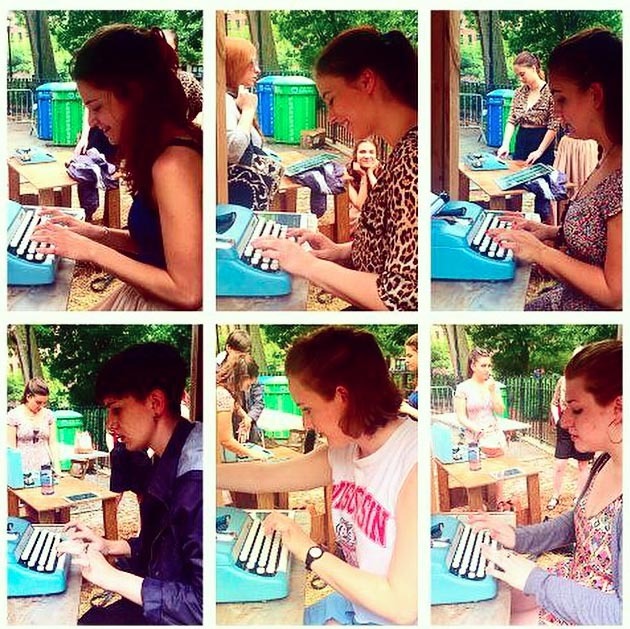 All are invited to bring a typewriter and type away! 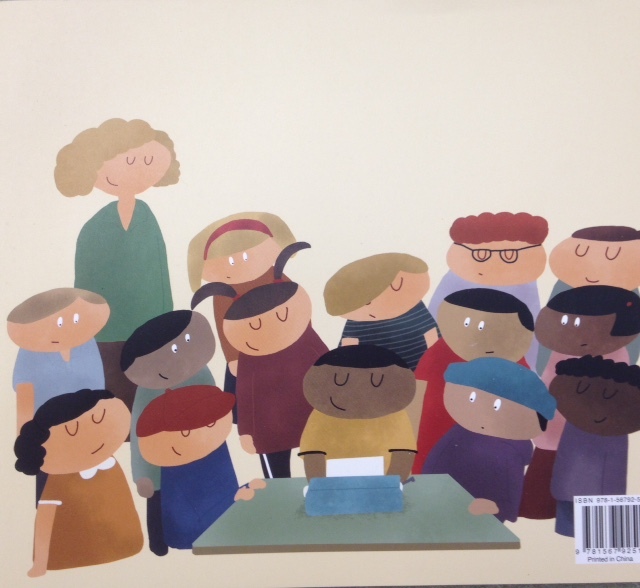 Don L. contributes these images of a new kids' book. 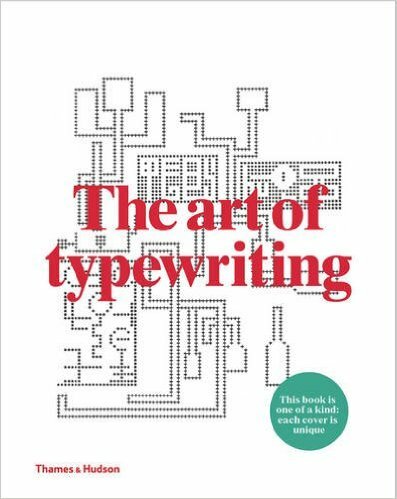 Has anyone read it? 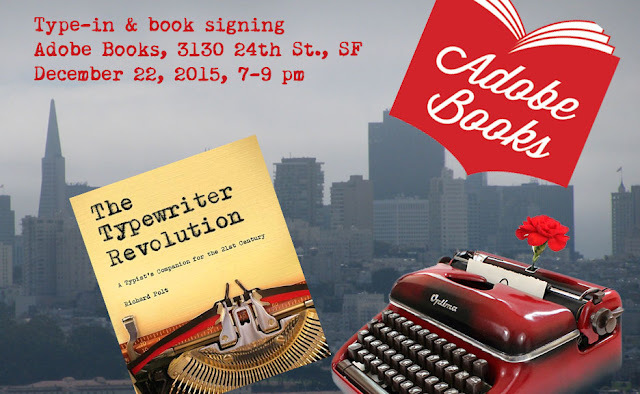 I'll be reading and signing The Typewriter Revolution at various upcoming events. 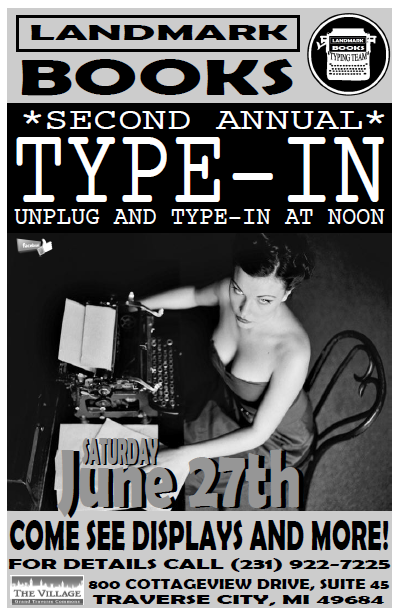 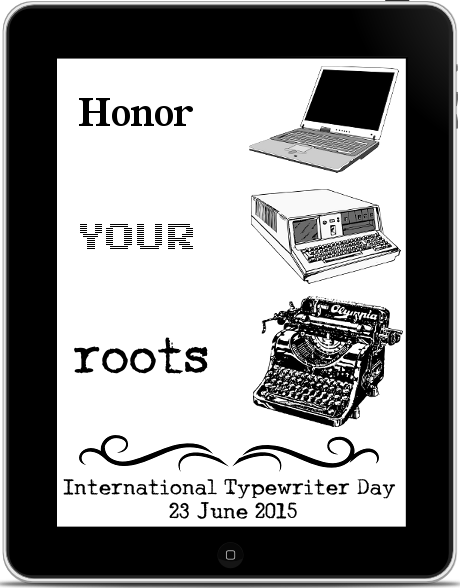 Typists and their machines are invited! 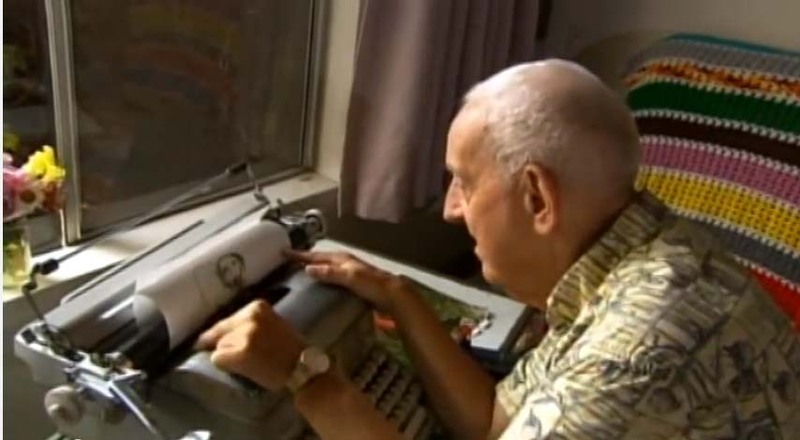 It appears news of Richard's book has reached even the ears of the Jolly Old Elf, for his Portland, Oregon incarnation has a very familiar accessory at hand. 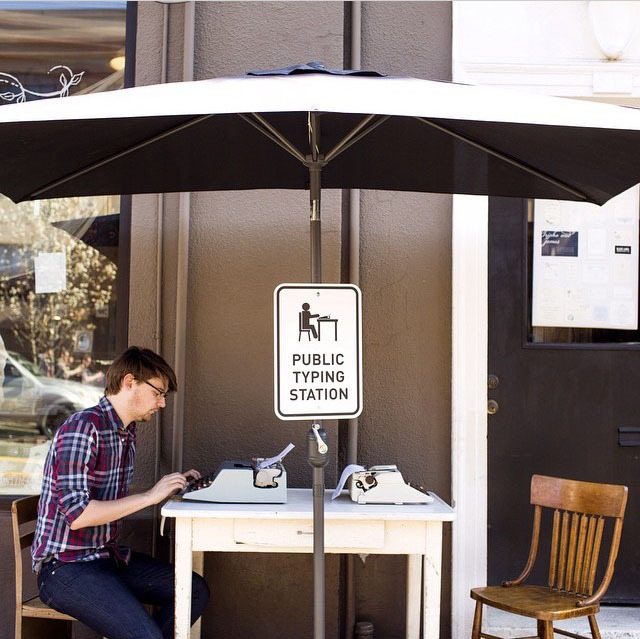 Please disregard the unfortunate man-bun on the big guy. 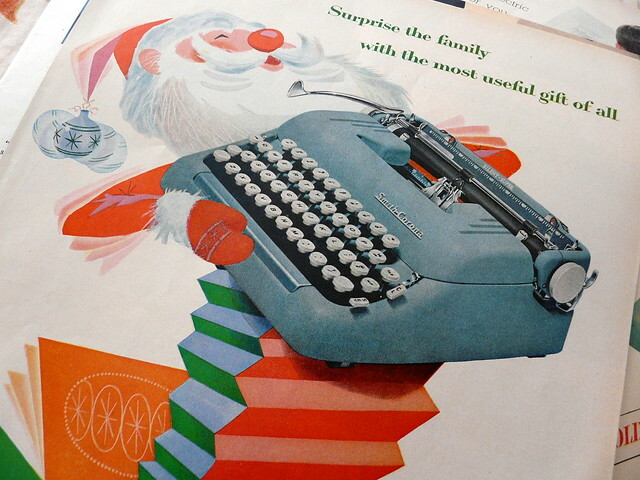 Of course, Santa's no stranger to these classics. 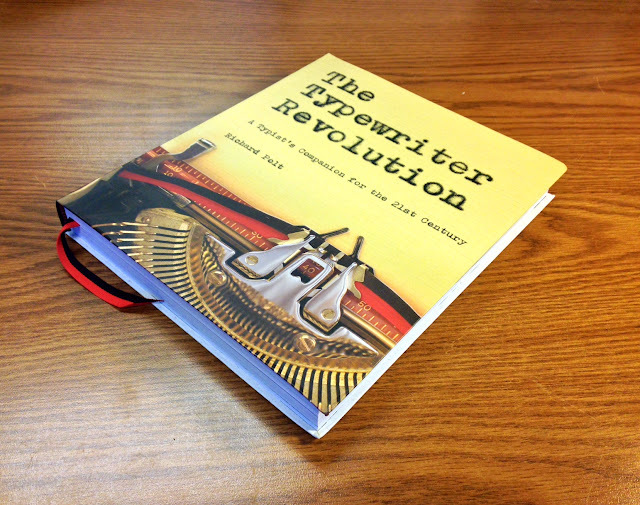 Maybe thanks to The Typewriter Revolution, a few more will wind up under the tree this year? 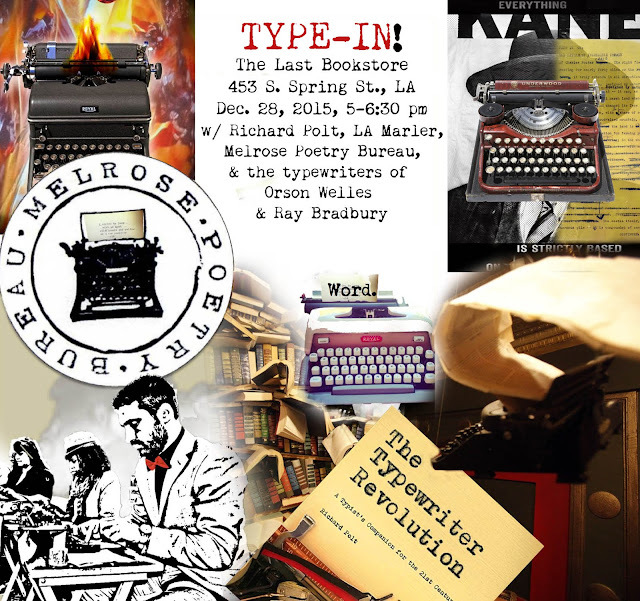 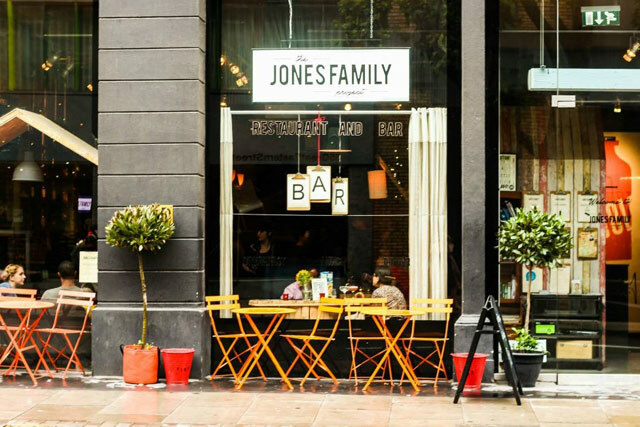 Come and enjoy an ad-hoc Type-In and book launch. 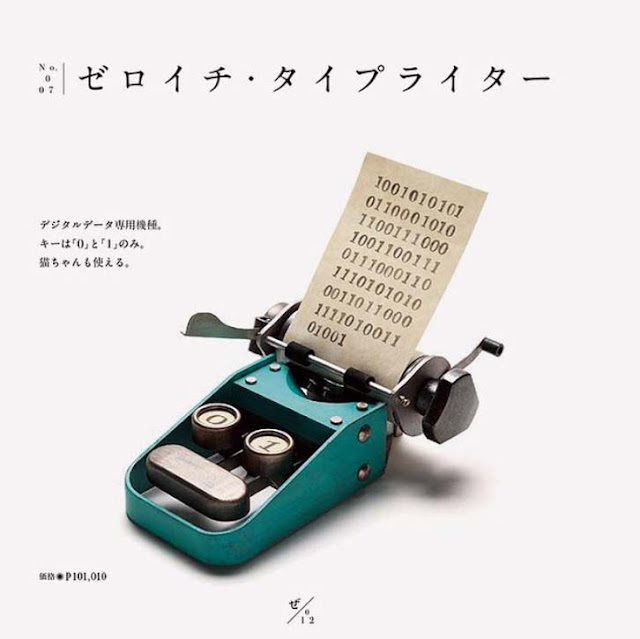 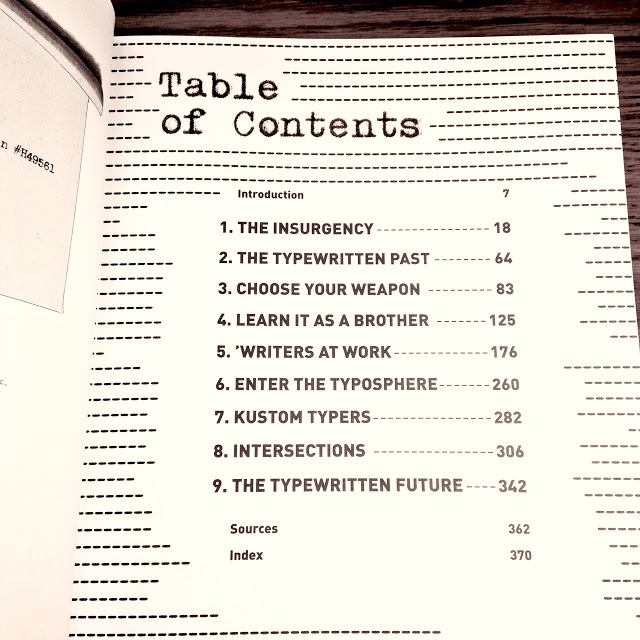 Toucan Books have pruduced a new publication, Typewriter: The history, the machines, the writers on behalf of US publisher Shelter Harbor Press and it will be getting a UK airing at the Type In. 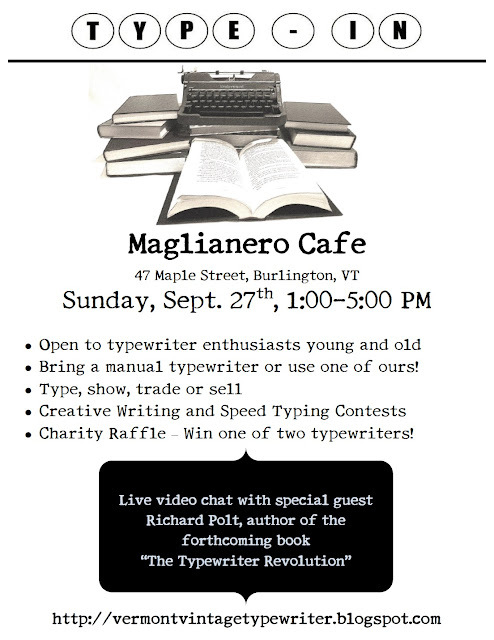 All welcome! Great radio story about the typewriter renaissance in Arizona, including interviews with Bill Wahl (Mesa Typewriter Exchange) and Ryan Adney. 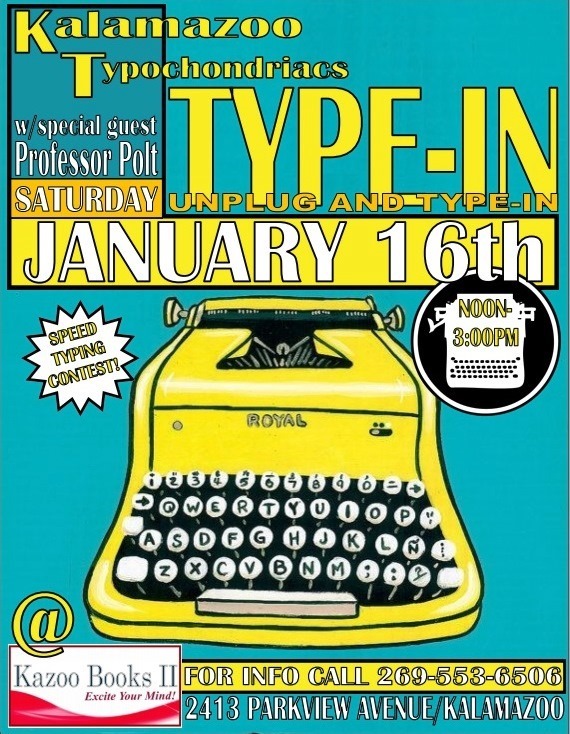 Preceded by a Type-in at 10 am! 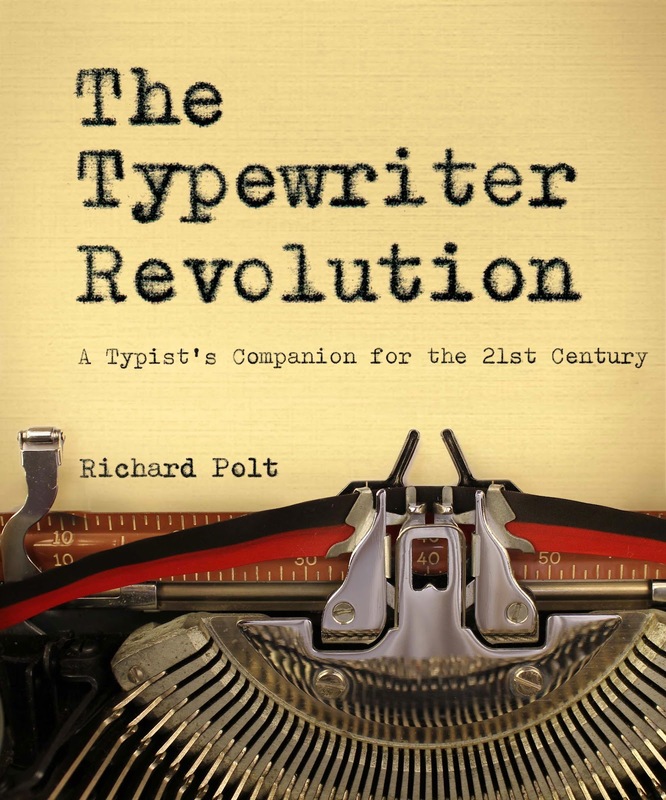 A good story on the typewriter comeback at the Toronto Star. 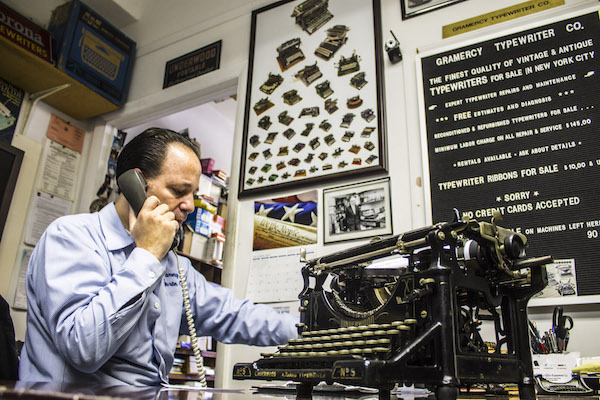 "Business is booming at the 83-year-old Gramercy Typewriter Company, as a new generation discovers the staccato pace and simultaneous printing of a 19th-century innovation." 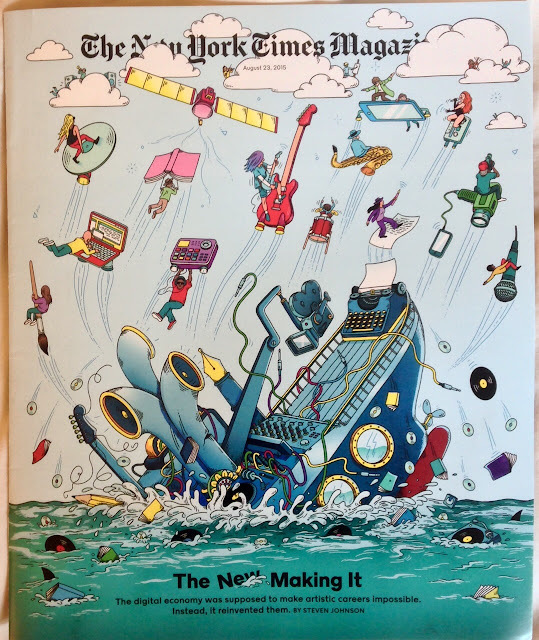 This is the cover of today's New York Times Magazine. 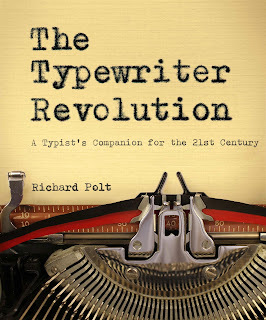 It's interesting that typewriters get such a prominent role as representatives of non-digital creativity, and as the device that is apparently going to be the last to sink. 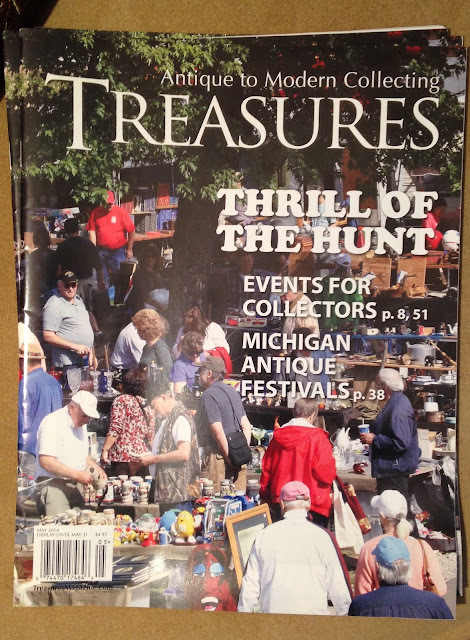 Weren't they already "sunk" circa 1985? 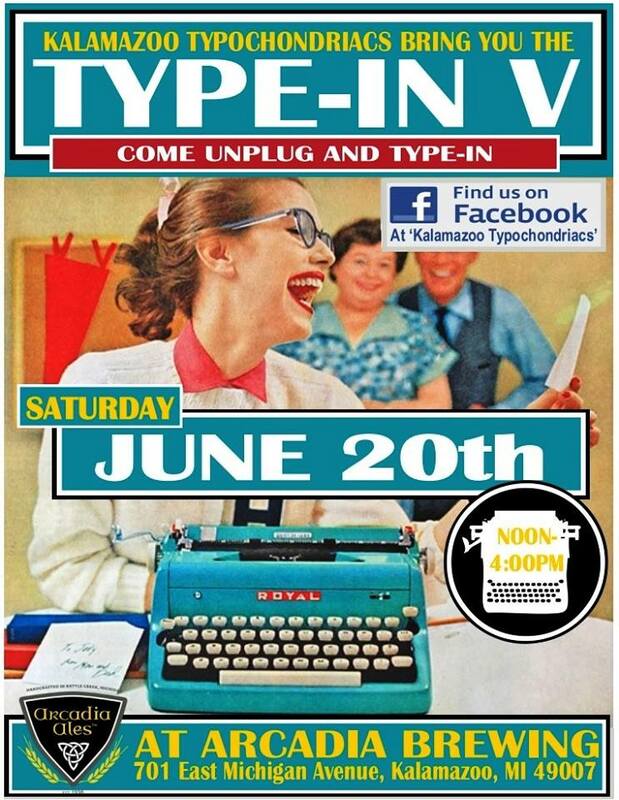 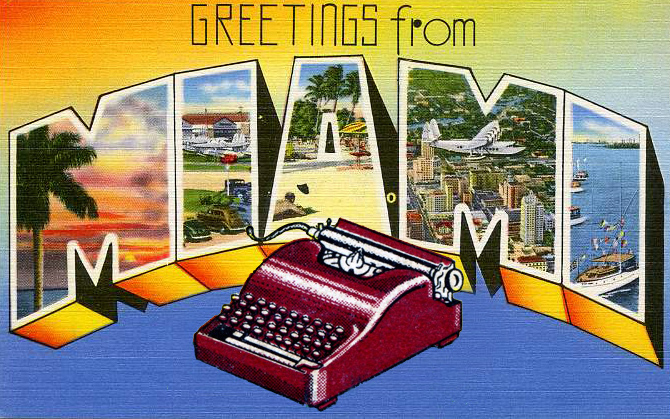 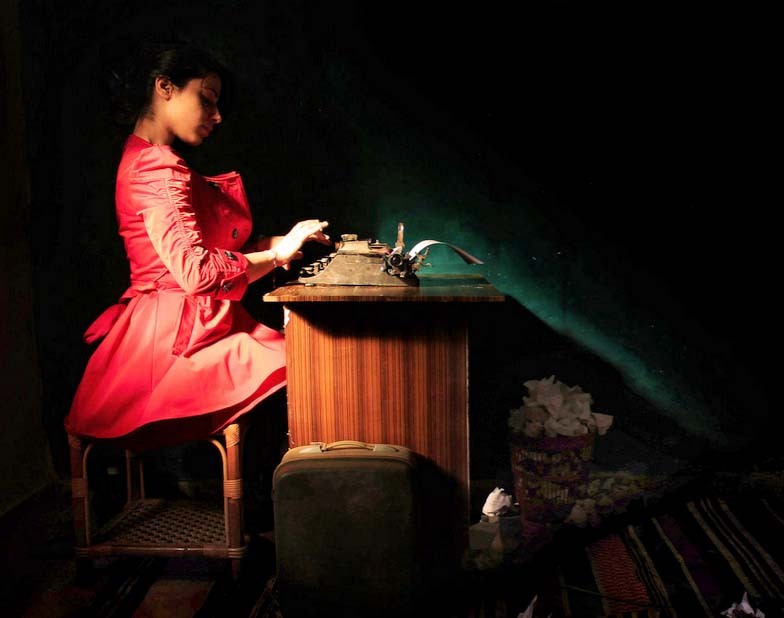 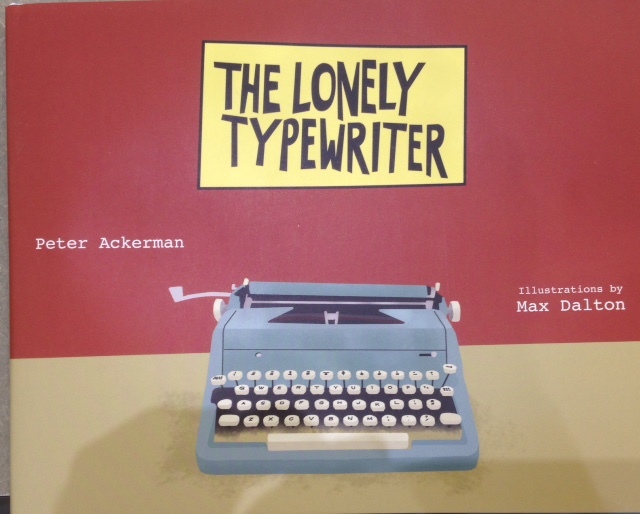 Perhaps against the artist's intent, the illustration shows that typewriters aren't dead. There are many people who haven't thrown away their analog devices, and are combining them with the digital in creative ways. 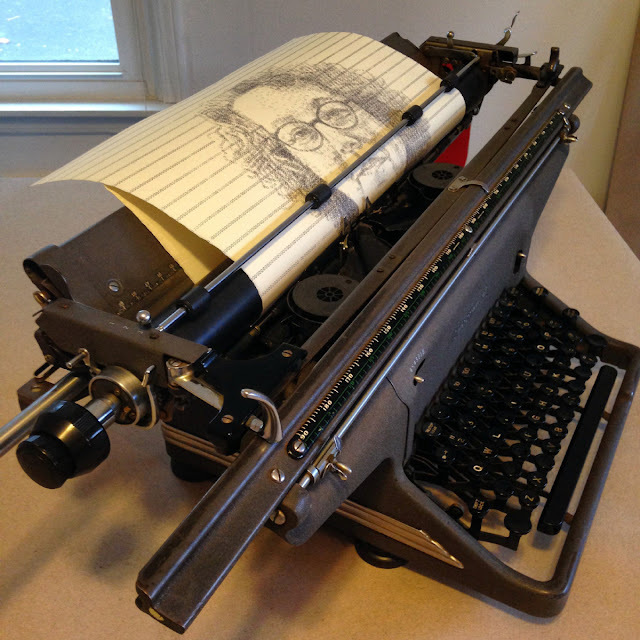 Case in point: typospherians. 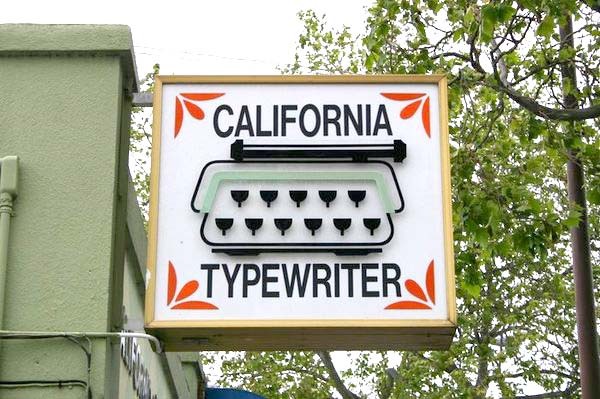 Maybe this point is conveyed by the writer who's surfing on a typewritten sheet, wielding her fountain pen. 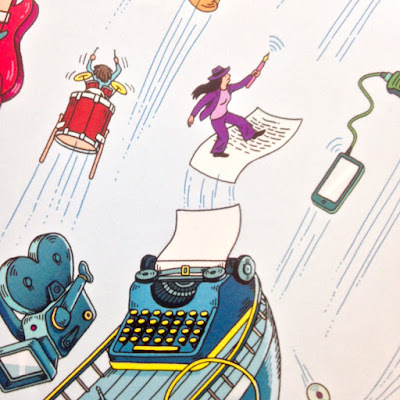 The article itself ("The Creative Apocalypse That Wasn't," by Steven Johnson) presents a somewhat reassuring view of the ability of artists to support themselves in the digital age. There's some encouraging news, such as the recent growth in independent bookstores, but the author's spin strikes me as overly optimistic. 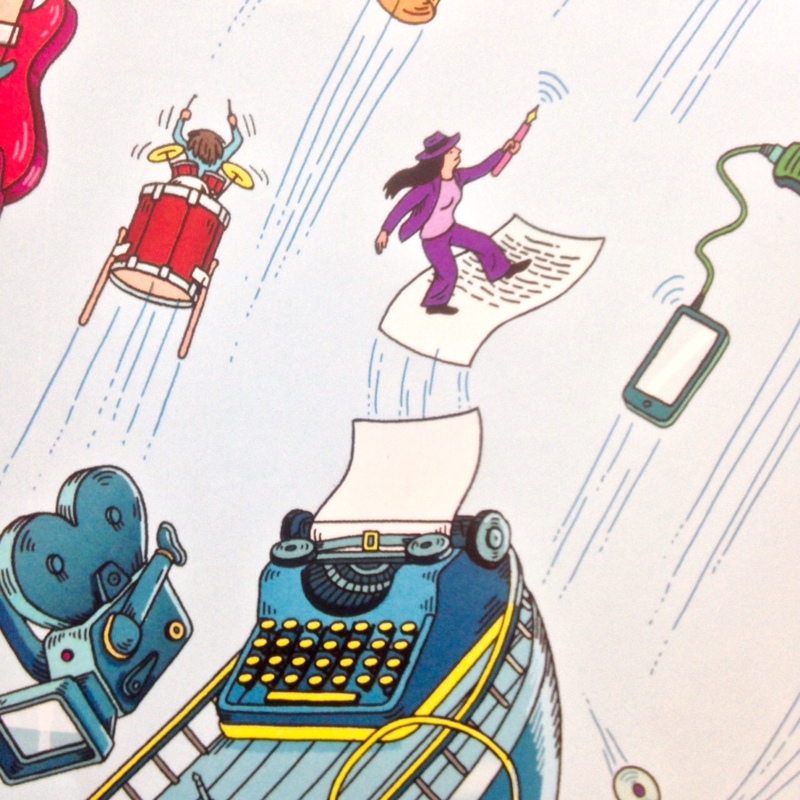 A sad truth is buried in the next-to-last paragraph: "Most full-time artists barely make enough money to pay the bills." PS: Read typecaster Patrick Wang's analysis of the fallacies in Johnson's article.